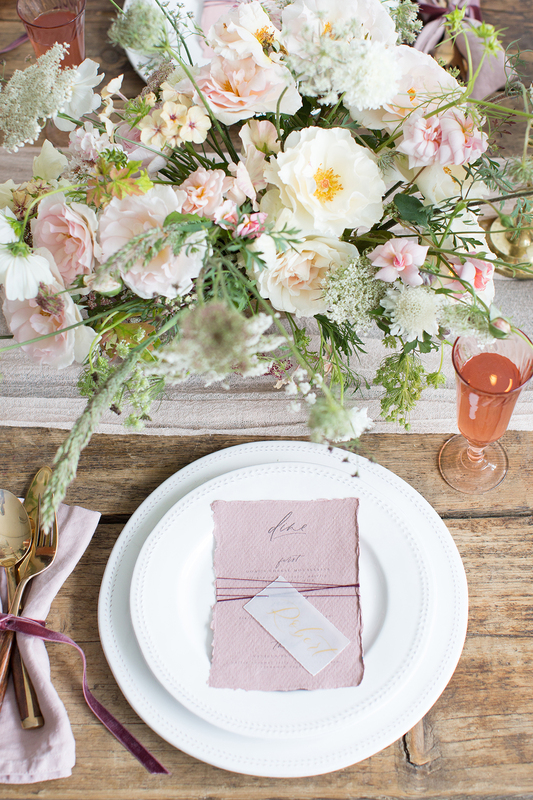 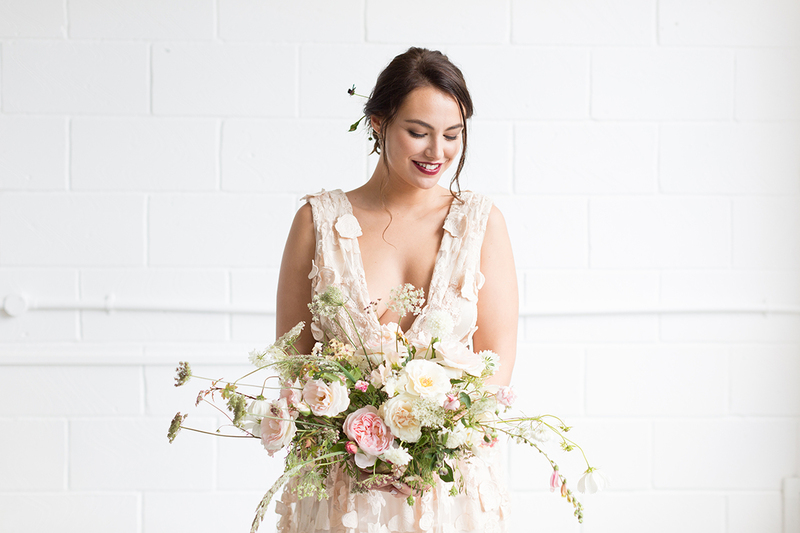 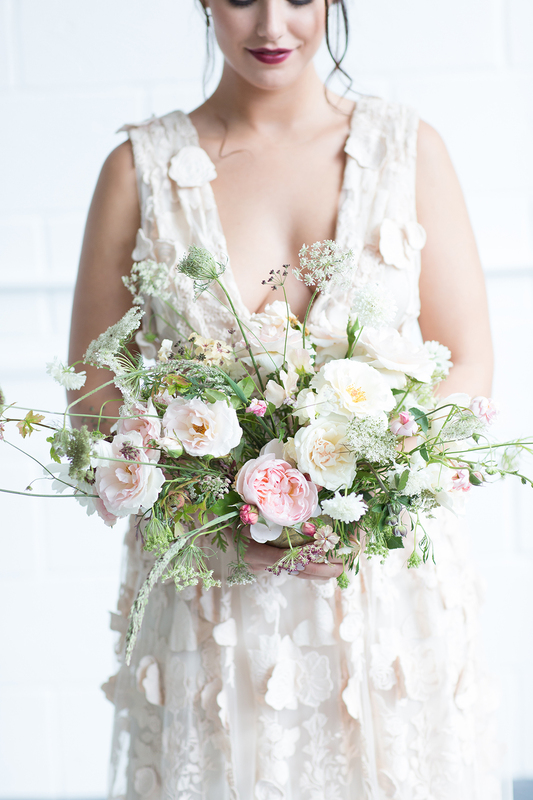 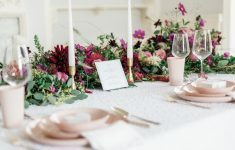 We are still swooning at our recent feature with the most beautiful muted blush pink concept by Charlotte Nichols Weddings and Sarah Hannam Photography! 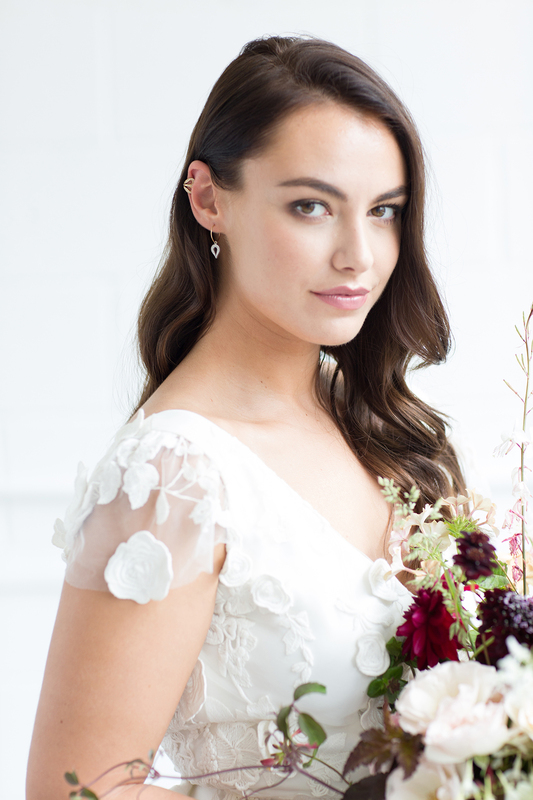 Today Charlotte talks us through the two chic bridal looks and trends for 2018! 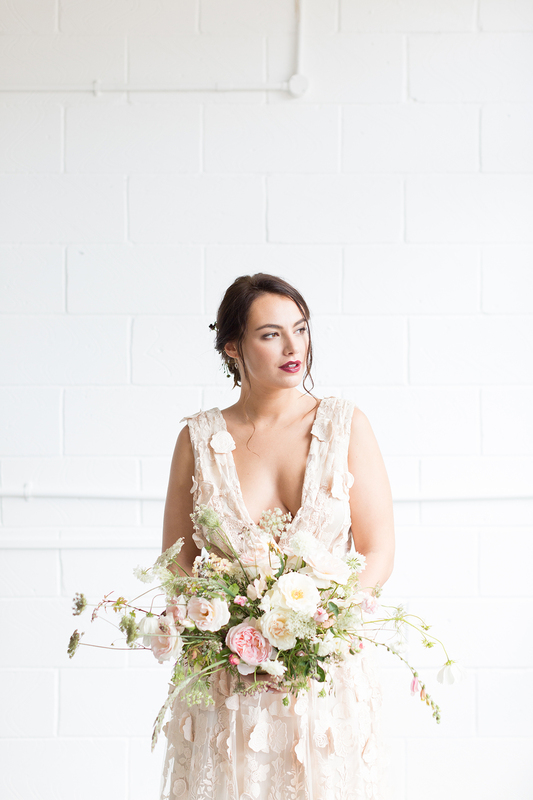 “Fashion and exquisite styling was at the forefront for me which is why the bridal look was such an important part of this Wild Romance styled shoot. 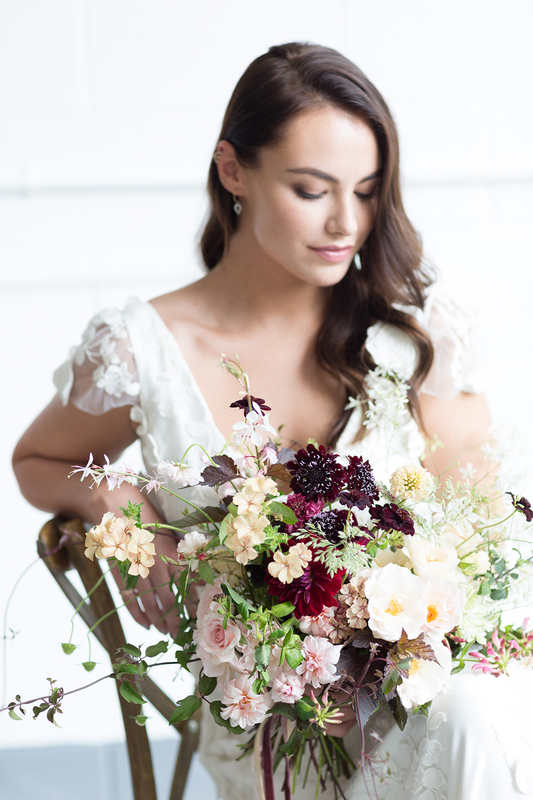 This shoot was all about giving a nod to some of the key trends for the coming year, as well as illustrating how to craft an event and design concept that is free from unnecessary fuss, yet overloaded with understated style. 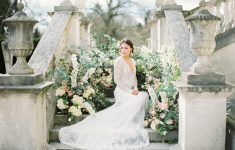 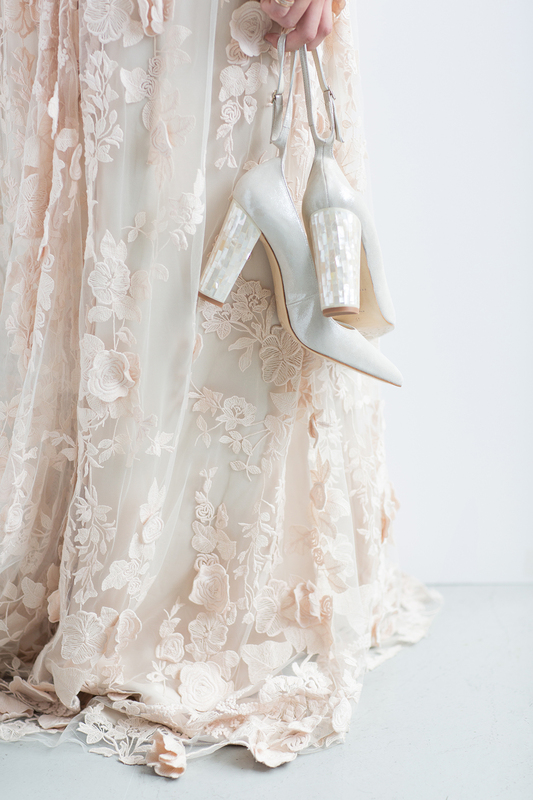 Floral embroidery dominated the Spring 2018 wedding dress collections at bridal Fashion week and Halfpenny London is yet again ahead of the curve. Kate is one of my all-time favourite British designers who is known for her vintage inspired gowns for the modern bride. 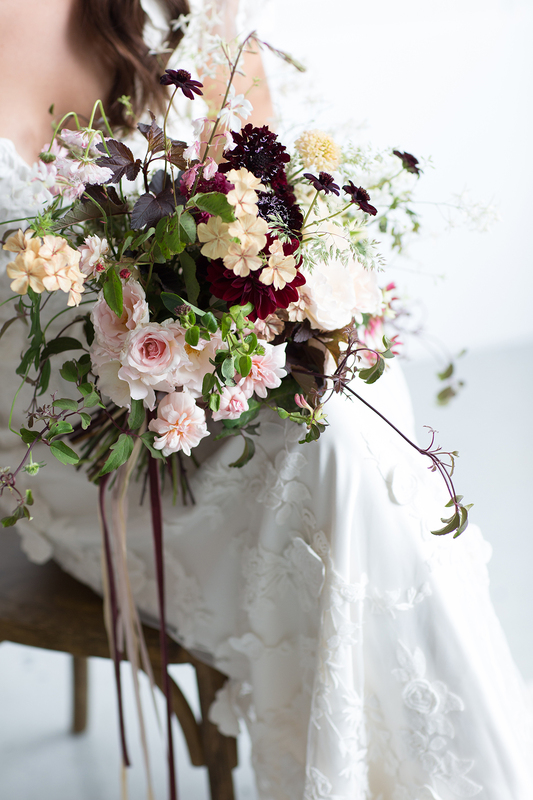 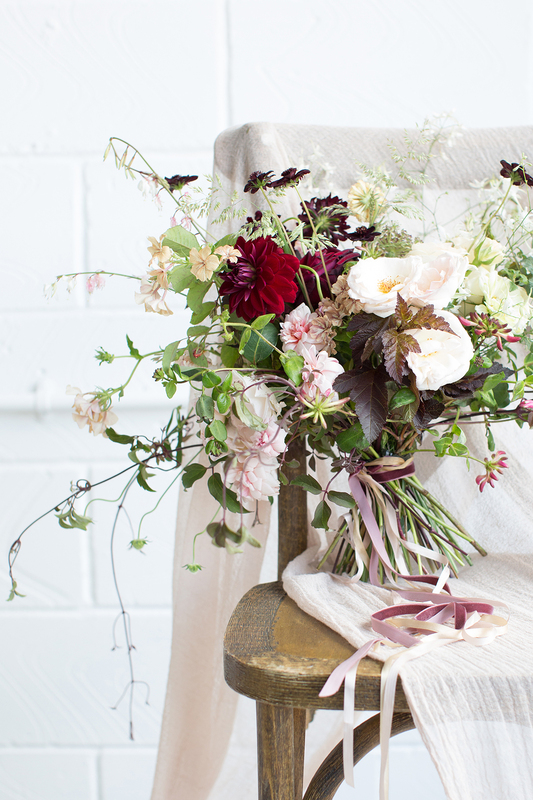 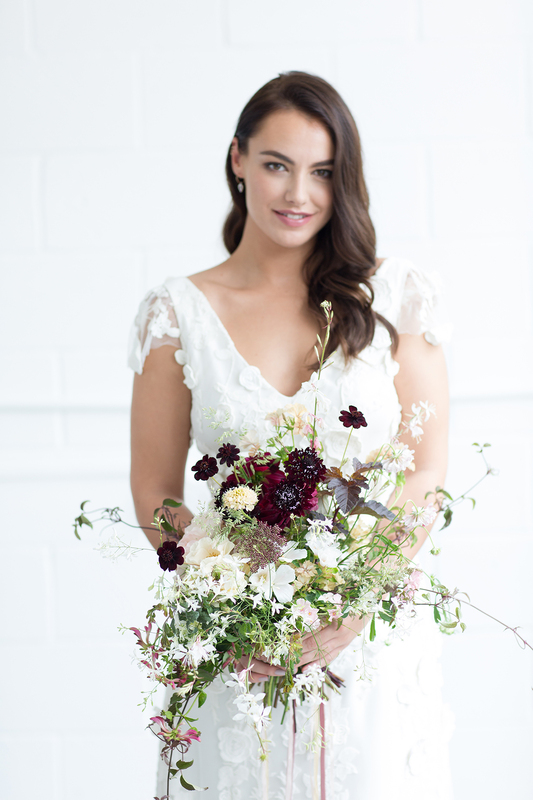 I knew instantly that she would be the perfect designer for this laid-back luxe shoot that was all about texture, wild botanicals, and incorporating subtle vintage touches whilst retaining a minimal and modern feel. 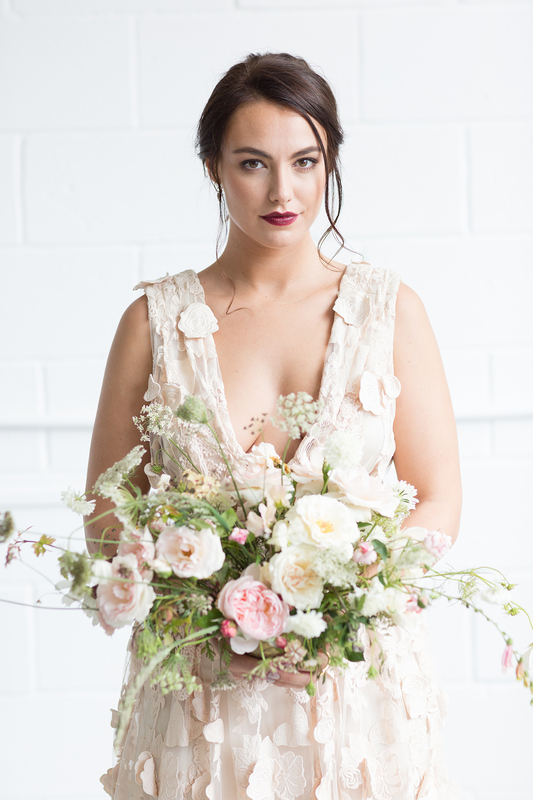 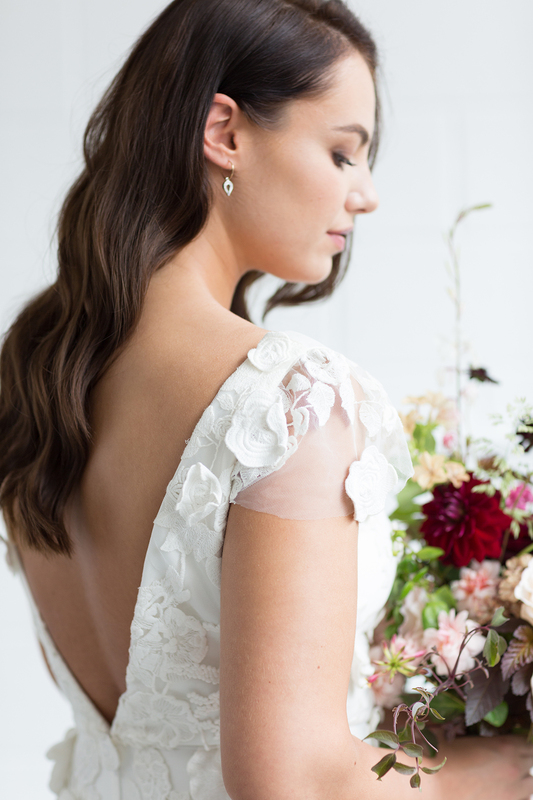 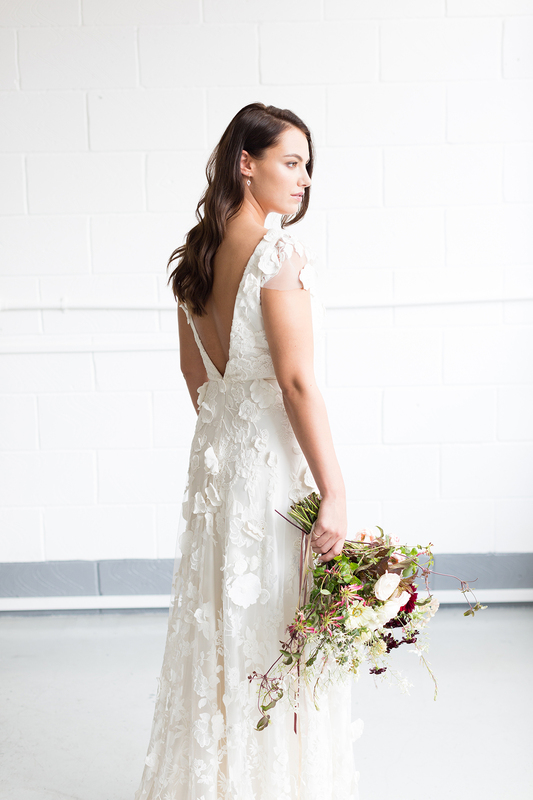 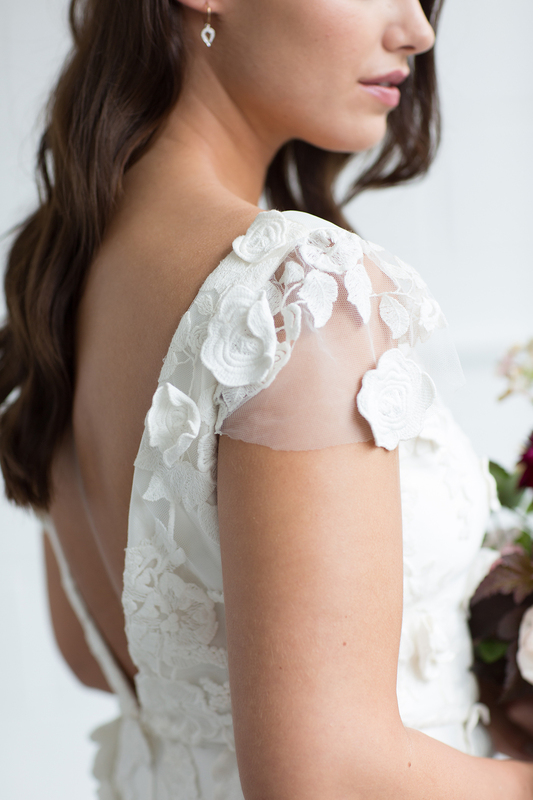 We featured two dresses in the shoot, including the gorgeous Ebony from the Standing on Stardust Collection and the Clemence dress from the Wild Love Collection. 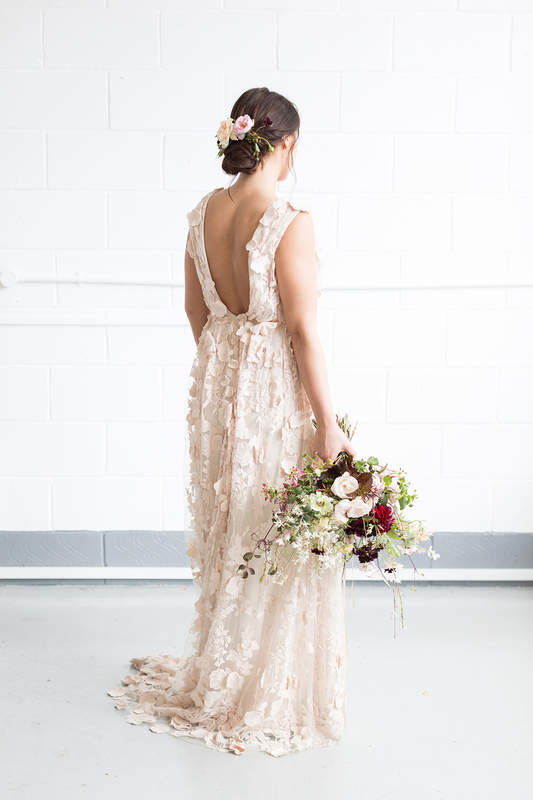 Both gowns featured a 3D applique floral design and the Clemence gown perfectly complemented the muted and romantic blush and dusty rose colour scheme. 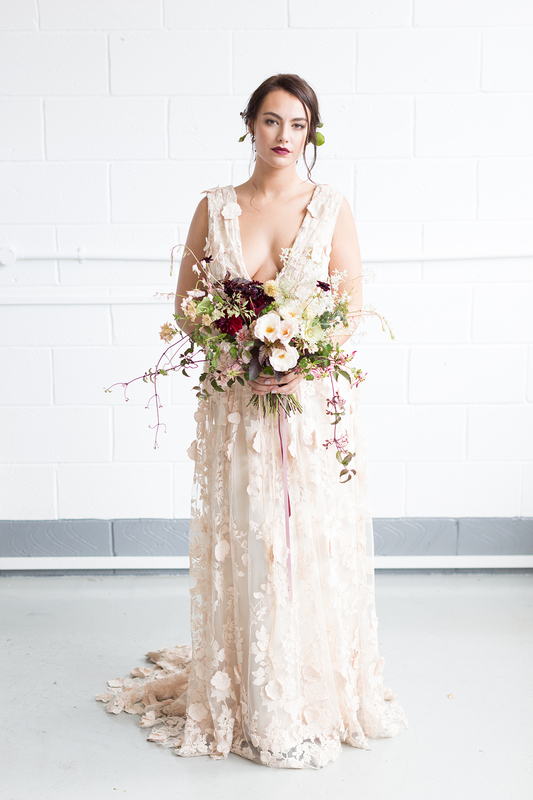 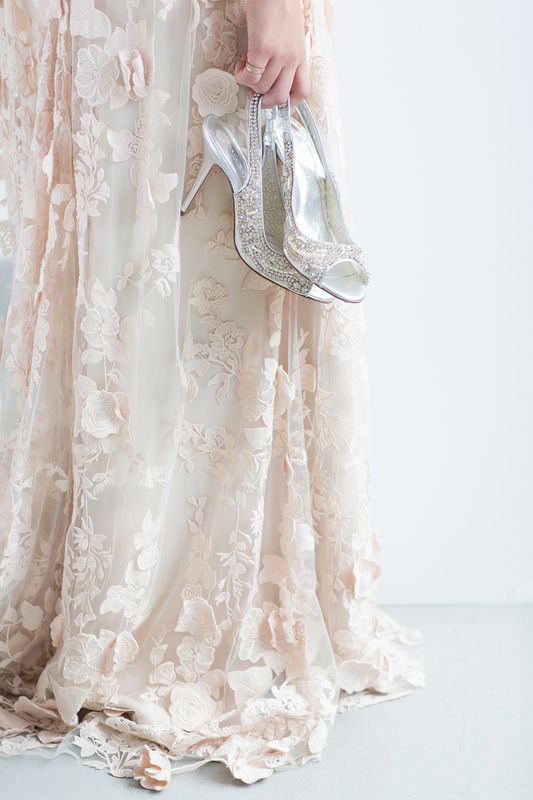 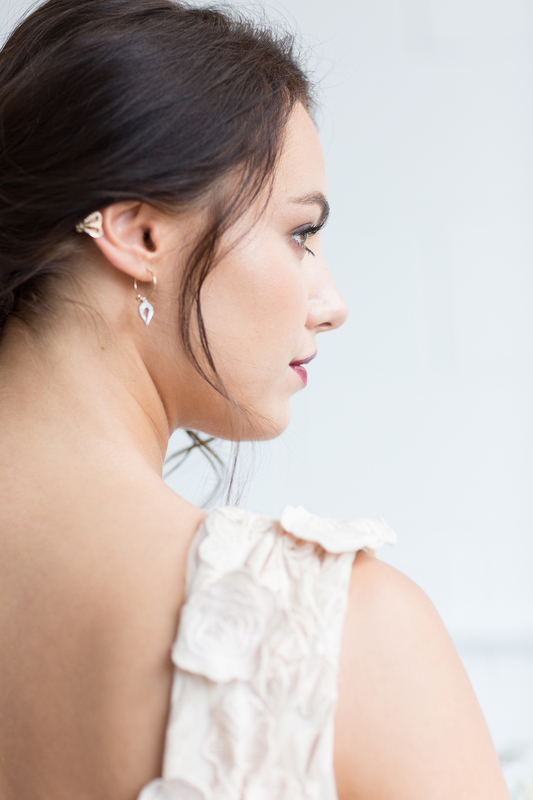 We created two bridal looks to complement each of the gowns. 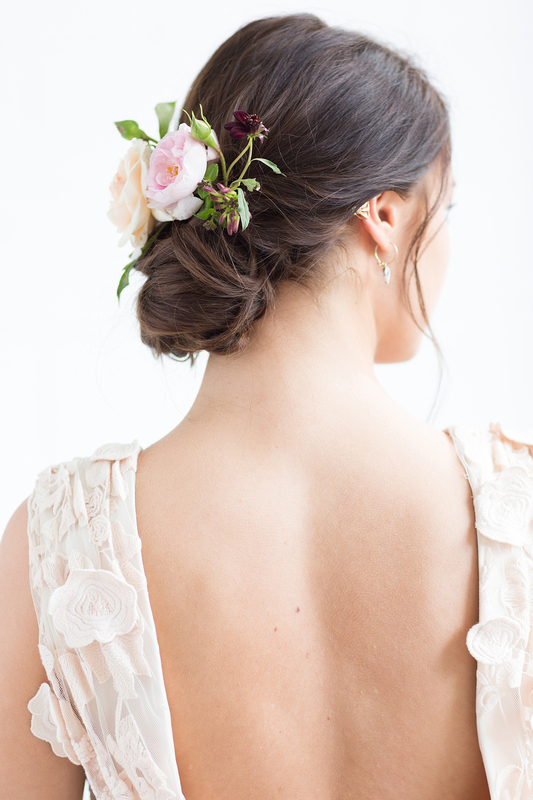 For the first, the hair was long and sleek with a subtle wave pulled over to one side showing off the beautiful open back in the dress, and for the second we went for a very loose and undone updo decorated with blousy florals. 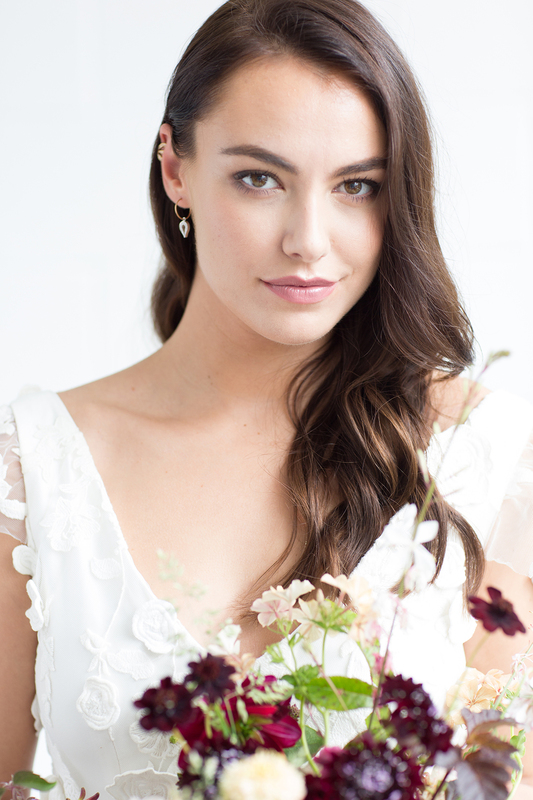 The makeup was soft and flawless with brown smokey eyes, statement brows. 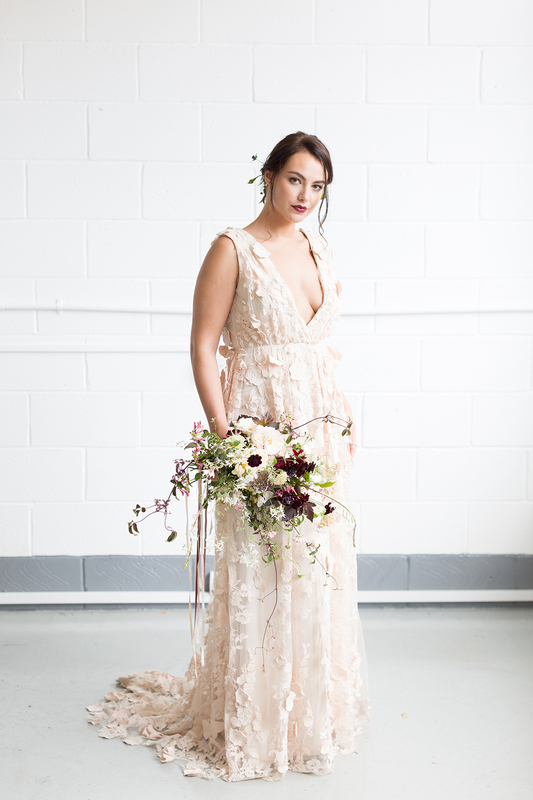 For the second look we also went for rich berry lips to tie in with the darker tones in the overall design and to create a strong contrast with the lighter dress. 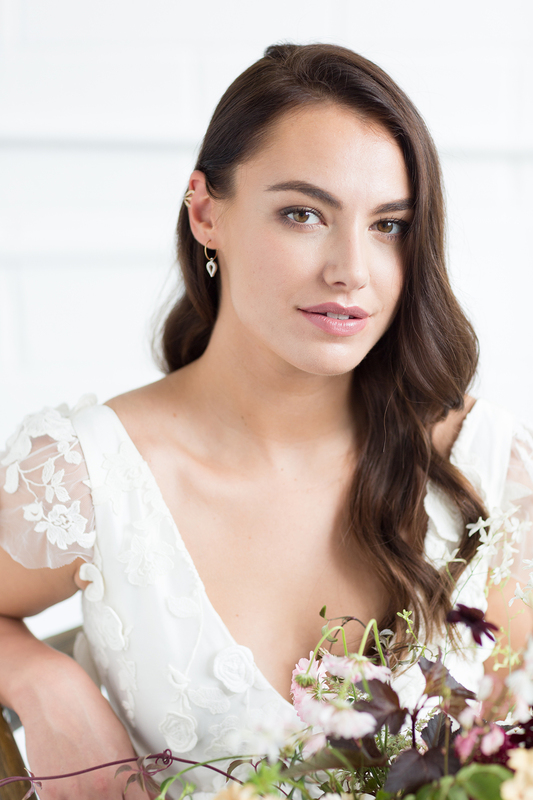 Although I am a big fan of the oversized, statement jewels that were taking over the bridal catwalk this year, it is important that your choice of jewels complements, or even accentuates your bridal look. 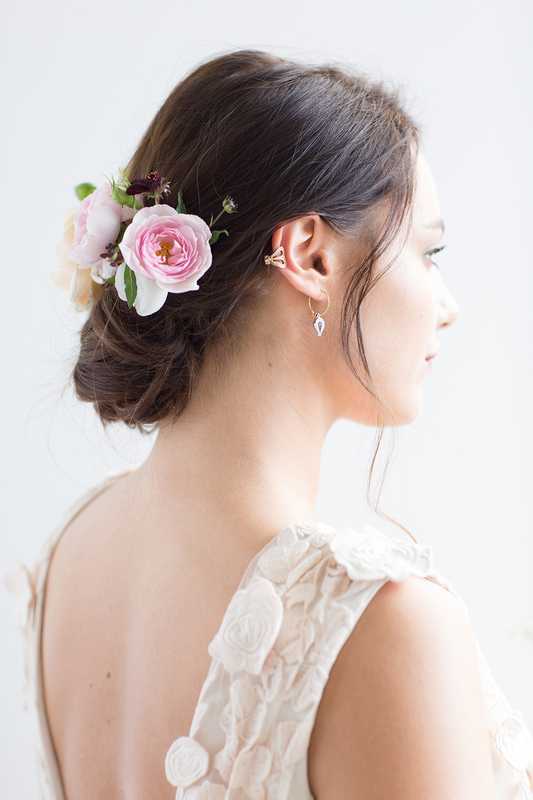 For the accessory styling in this shoot, I felt that less is certainly more and so decided to go for subtle luxury. 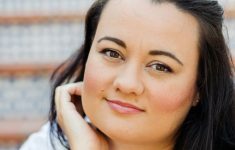 Emma Clarkson Webb is known for sourcing the world’s best diamonds and for handcrafting one-of-a-kind bespoke engagement rings and tailor-made jewellery. 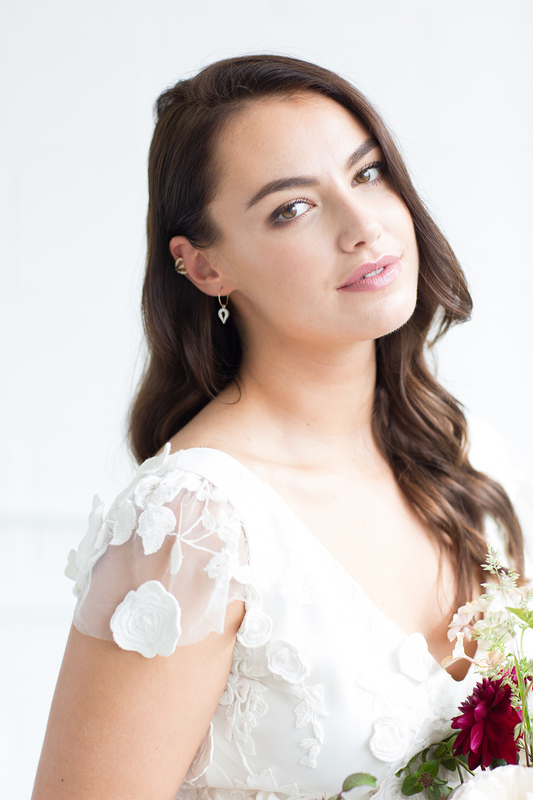 She also has a gorgeous Bow Collection, with a range of pieces that are the perfect accessory for a contemporary bride looking to complement her outfit with delicate and understated detail. 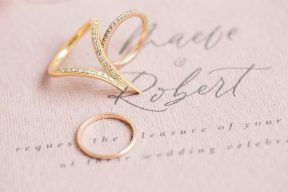 My absolute favourites from her collection are the bow cocktail ring the bow cuff. 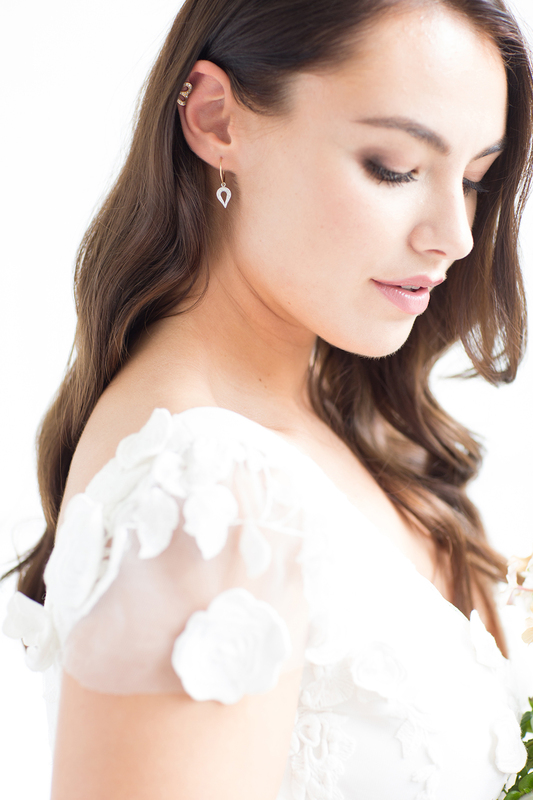 Other pieces to make up our bridal jewels included the bow hoops and a selection of bow stack rings.